The track is a darker turn from what we’re used to from the 27-year-old singer. It’s apparently a diss track aimed at Kanye West , who the singer has had beef with since he upstaged her at the MTV Video Music Awards in 2009. Things were better in 2015, when Swift presented West with the Michael Jackson Video Vanguard Award, but that didn’t last. Swift denounced West’s lyrics when the song and video were released. 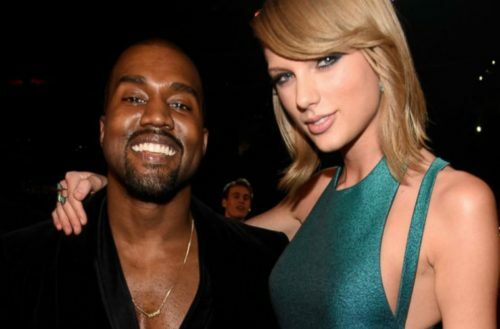 Months later, Kim Kardashian West leaked video and audio of West and Swift’s private phone conversation, confirming that Swift knew about and approved West’s lyrics in private. On “Look What You Made Me Do,” Swift sings: I don’t like your little games / I don’t like your tilted stage / The role you made me play, of the fool / No, I don’t like you. West had a titled stage during his last tour for Saint Pablo. Many people had speculated that Swift’s new single would be aimed at Katy Perry, who Swift has also publicly beefed with. Many speculate their drama will be resolved onstage this year at the MTV Video Music Awards on Sunday. Perry has denied this, but it still seems likely given the two pop princesses are masters at marketing. Taylor Swift’s new album Reputation is slated for release on Nov. 10 and is available for pre-order now.